It is no longer news that the texts that became the official Bible excluded apocryphal books, in many cases because they didn?t serve the worldview of the ruling classes. Early in the 20th century, R.H. Charles translated and edited a series of these texts. In 2003, we published The Book of Enoch, apocrypha describing the hierarchy of angels and demons. Now we are pleased to publish this significant end-times text. 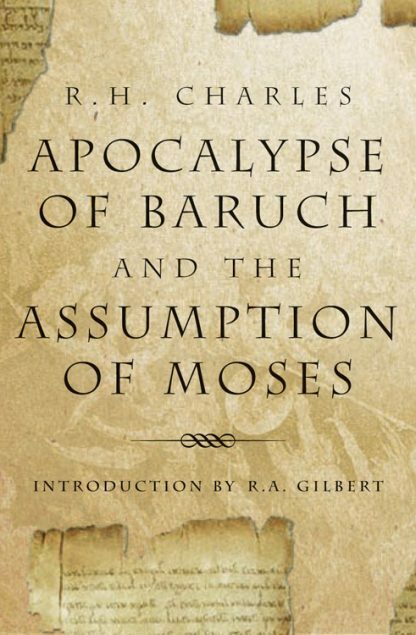 Writing at the time of the destruction of Jerusalem in 70 ad, Baruch converses directly with God in a series of visions. The fall of Jerusalem is given as part of a larger end-of-the-world scenario. Baruch then receives prophecy: periods of light and darkness shall come, symbolized by rains bright and black, corresponding to alternating times when humanity lives in peace and harmony, then dark periods when evil reigns. Of particular note is the apocalypse when the Messiah appears again on earth. This alternate tale of the apocalypse inspires hope -- evil is punished, condemned to hell and cast off the earth, while those "left behind" are actually the righteous who will enjoy, literally, heaven on earth. Obviously a differing view from the currently in-vogue idea of "rapture." Also included in this edition is "The Assumption of Moses," an apocryphal fragment noted to have influenced other descriptions of the apocalypse included in the Bible. And from that light into the splendour of glory."